I couldn’t find a lot of symbols when I first started using a Macbook. This was partly because I have it set up to support different languages and partly because many symbols aren’t produced by Shift. You can get most symbols in the same way as on a Windows machine i.e. by pressing Shift. 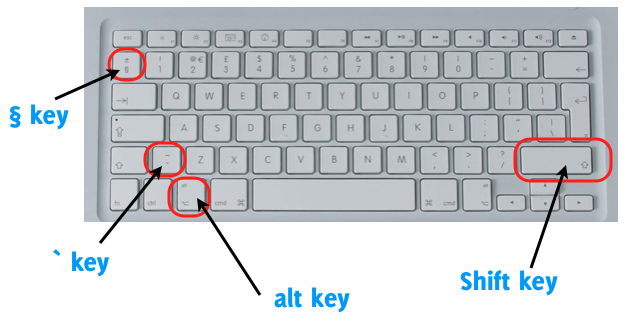 However in OS X you can get a second set of symbols by pressing Option/Alt. You can use this for reference.